Did you know that being close to nature has a proven and direct link to positive mental wellbeing? While the cooler weather and your busy schedule may keep you inside more often–away from all the beautiful trails and bike paths Fort Wayne has to offer–that doesn’t mean you can’t still surround yourself with gorgeous pops of nature. Incorporating plants into your apartment’s design is an awesome way to breathe a little life into the space and to bring a bit of the great outdoors inside! Check out these 7 indoor plants that’ll make the perfect addition to your Willow Creek Crossing apartment! This neat little plant is the perfect option for the plant lover who hasn’t got a balcony or a garden of their own. Capable of surviving in super low light or even on artificial light, this little plant thrives in indirect sunlight. Just choose whichever space in your apartment could use a little bit of brightening-up and clear a little space for your Chinese Evergreen! This special little plant is super versatile; it can thrive in a traditional pot or from a hanging basket where it can dangle it’s pretty little vines. Beyond the way the Pothos plant looks, it can serve your space by purifying the air of toxins that are commonly found in rugs and carpets! The iron plant, also known as the cast-iron plant, is one of the most durable plants you can find–which makes it perfect for the busy apartment-owner. It will survive in low light, poor soil, and minimal water. Plus, its rich green leaves will add a lovely bit of color to an otherwise dim area. The Fiddle Leaf Fig is perfect for the apartment with plenty of vertical space. This neat little plant grows waxy leaves that shoot skyward and seldom branch out horizontally. This plant needs medium light but only needs to be watered when you notice the soil has gone dry. If you’re in it for the blooms, the Peace Lily may be just the plant you’re looking for! This hardy lily sprouts delicate-looking white flowers that are actually some of the hardiest blooms you can find! The Peace Lily does well in super low light and can even survive perfectly well off of fluorescents in place of the sun. Water once a week and forget about it! And no–we’re not talking about a trimmed and dried bunch of the stuff! Smaller varieties of potted lavender actually grow quite well indoors, as long as it’s grown near a window where it can get as much light as possible. Plus: lavender plants make for a lovely, natural air freshener! The presence of this plant can really lighten up the air in your apartment. This plant is a staple bloom for apartment-dwellers. It does best in bright spaces, but not in direct sunlight. One of the most unique and appealing things about the Philodendron is that it’s an honest plant. If there’s a problem, it’ll always be obvious! If your plant needs less sun, he’ll turn yellow; if he needs more fertilizer, he’ll sprout uncharacteristically small leaves. You can never have too many indoor plants! Those gorgeous leaves and blooms are enough to make any space 10 times more comfortable and relaxing. 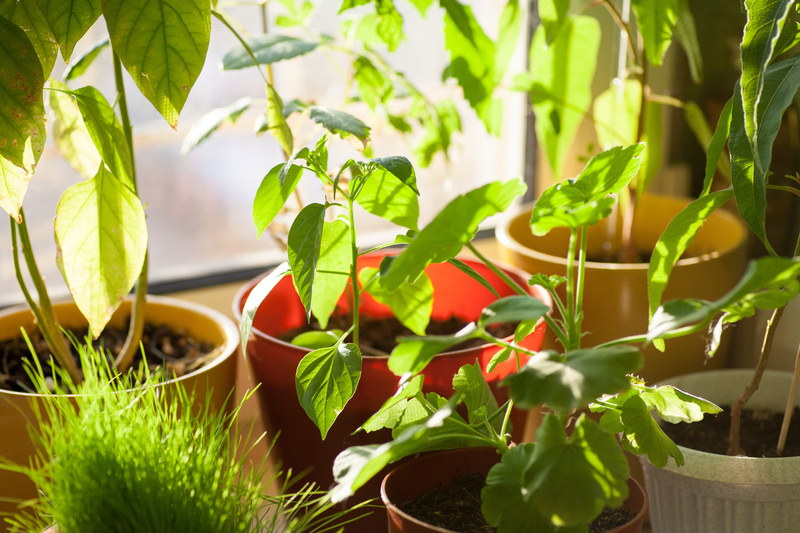 Head to Lowe’s, Menard’s, or a local nursery to find the best plants for your apartment!